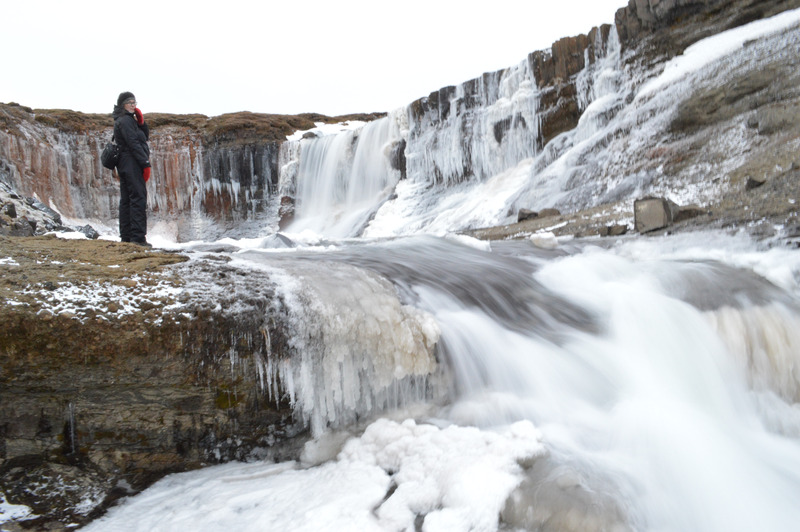 Come along on a hiking tour in the wilderness of Iceland with this fun-filled day tour and see the impressive waterfalls found in the glacial river Jökulsá. This is the perfect tour for those visiting East Iceland and want to get to know the stunning Icelandic nature. This tour starts a short drive away from Egilsstaðir town in East Iceland. You could also request to be picked up from your accommodations in East Iceland for an additional price. 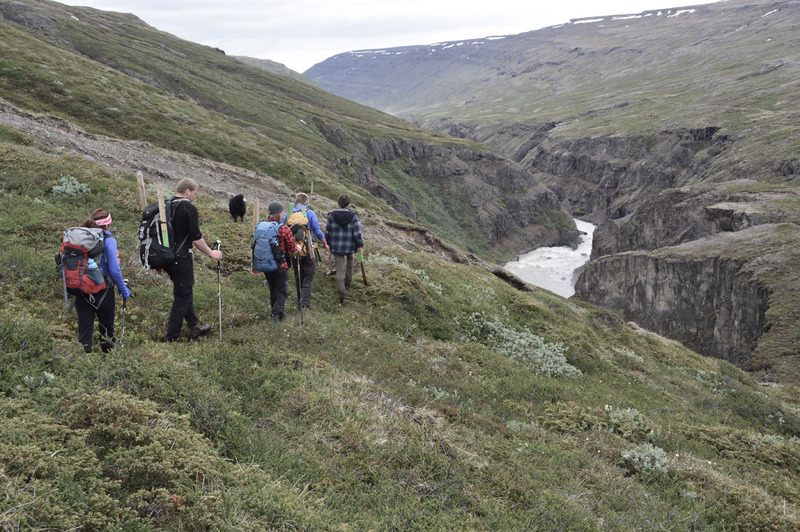 You will meet your guide at the edge of Northern Europe's largest wilderness, right next to the Jökulsá river. Before the hike starts, you will experience the visually stunning Wilderness Exhibition, about life and travels in and around the wilderness. 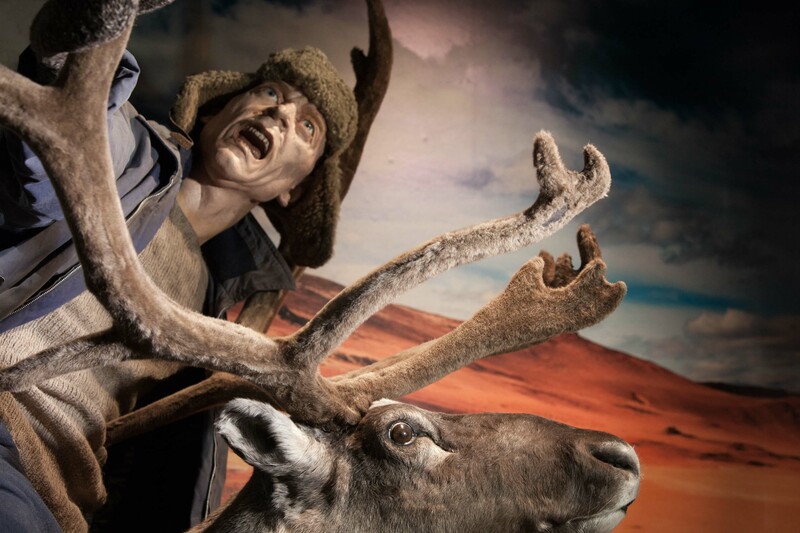 The exhibition is designed by artists, historians, and filmmakers to make you feel as if you are stepping right into the past and being immersed into the adventures of the wilderness. After you go through the exhibition, you head outside with your experienced guide to get a feeling for the wilderness first hand. The trail takes you to the abandoned farm of Kleif, and soon after you will catch sight of the lowest of the waterfalls. 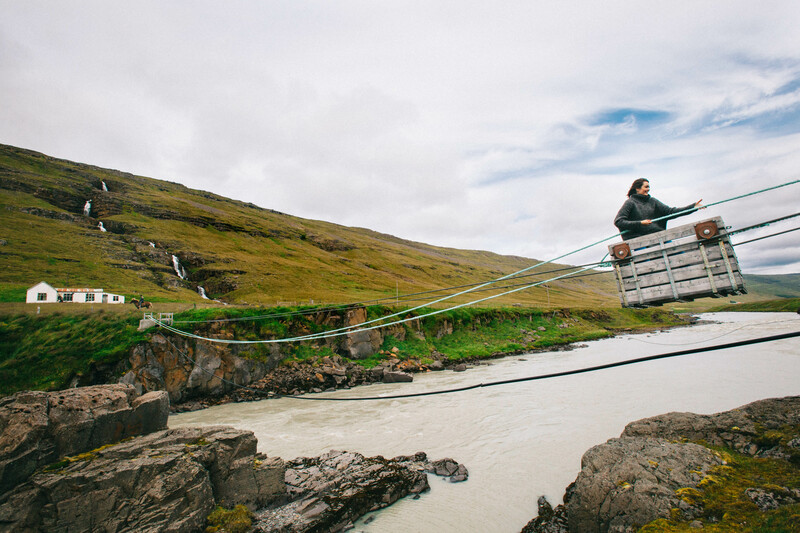 Those of you who are brave at heart can try your hand at winching themselves across the Jökulsá river in a renovated traditional cableway cart. These kind of carts were a vital mode of transportation across the river before road improvements made the remote farms more accessible, particularly in winter. As you walk along the glacier river, the beautiful falls begin to appear one after the other. As you continue, you will follow a marked trail through the woods of native birch. At last, the hike will take you to Laugarfell Highland Hostel. Once you reach the hostel, you can take a relaxing bath in an outside pool of warm geothermal spring water. Don't miss out on this chance to experience the East Iceland wilderness at it's very best. Check availability by choosing a date. The Fljotsdalsherad district in East Iceland, home to East Iceland's main town, Egilsstadir, is particularly attractive and features an abundance of sites of natural, historical and cultural interest, some of which are listed below. Storurd, in the valley Urdardalur is considered one of the greatest natural attractions of East Iceland and is highly popular with hikers. It features massive boulders, beautiful meadows and ponds, with the impressive Dyrfjoll mountains towering over the scene. During summer there can be thick snow patches and travelers should be vary of wandering from the marked path during fog. The site of Iceland's largest birchwood, Hallormsstadaskogur is a short drive from Egilsstadir, as well as the popular camping site Atlavik creek. Hallormsstadur also features a nice tree museum. Other interesting forrests in Fljotsdalur include Eyjolfsstadaskogur and Selskogur. 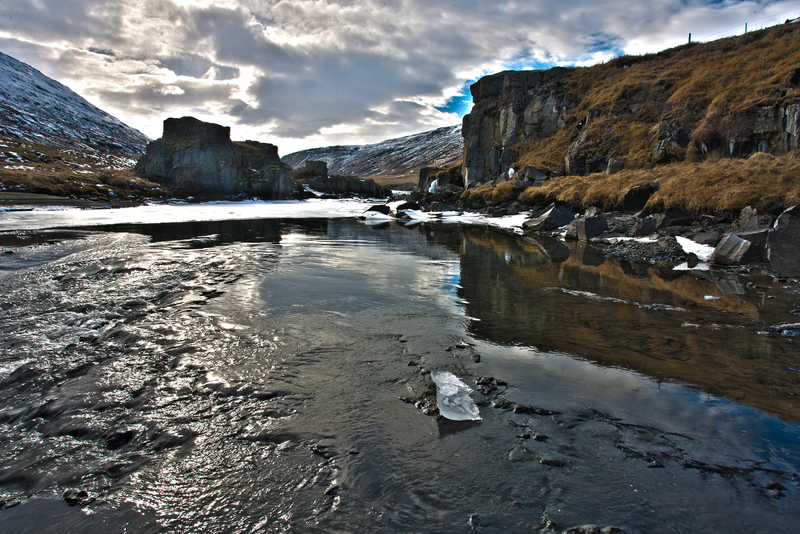 Located near Hallormsstadur, this river is Iceland's third largest. By the river is the lake Logurinn where Iceland's equivelent of the Loch Ness, The Lagarfljot Worm is said to live. 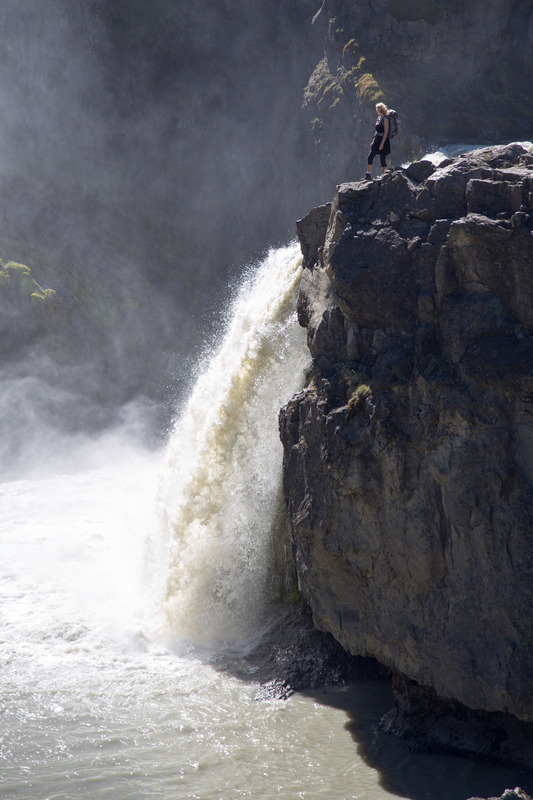 One of Iceland's most beautiful waterfalls, Hengifoss, is close by the river. It is one of Iceland's tallest waterfalls, at 118 meters. Another waterfall, Litlanesfoss, is slightly futher below. This is a culture and learning center and was the site of a monastery in the Middle Ages. Icelandic author Gunnar Gunnarsson had the impressive current house built in the 20th century and lived there in his middle age. The house has an institute erected in his memory, Gunnarsstofnun, which hosts exhibitions about his life and works. Gunnar Gunnarsson was one of Iceland's major writers and author of such masterworks as the autobiographical novel cycle Fjallkirkjan ('The Church on the Mountain), Adventa (The Good Shepherd) and Svartfugl (The Black Cliffs). Gunnar was born near Skriduklaustur, at the farm Valthjofsstadur but lived in Denmark from 1907 to 1939 and wrote most of his works originally in Danish. A turfhouse that was inhabited from 1843-1943 and renovated in 1992-3. A visit to this farm inspired Nobel author Halldor Laxness in his writing of his classic novel Independent People. The caretakers of the house offer guideance throught the area and refreshments. Iceland's highest set farm (469 m above sea level), with one of the most extensive farmlands in the country. We recommend the beautiful church, built by farmer Jon Adalsteinn Stefansson in memory of his wife. The inner decorations and altarpiece were made by him as well. At Eidar you can see the longwave transmitter of the Icelandic Broadcasting Company, a mast of 220 meters. 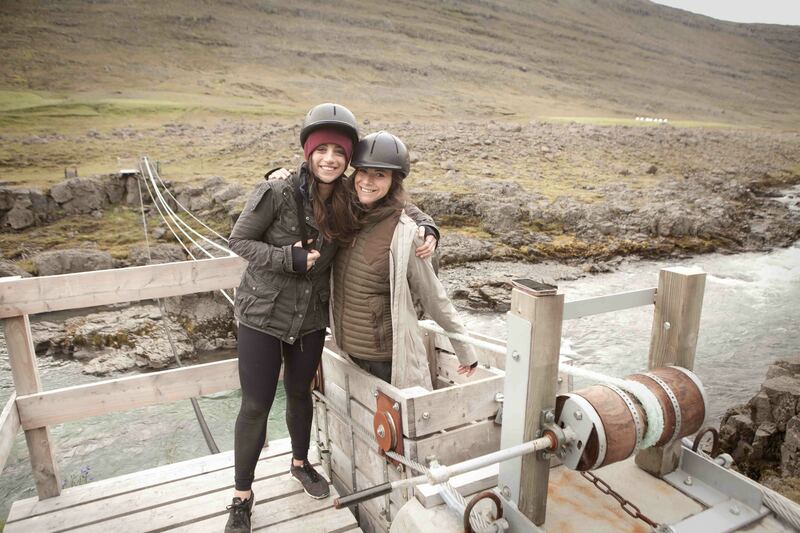 Further southwest, in the East Highlands are Karahnjukar, which now feature a Hydropower Plant which produces energy for Alcoa's alumnium smelter in Reydarfjordur. The construction of the dam has been the source of heated debates locally and internationally. At Heradsfloi bay, where the estuaries of the rivers Jokulsa a Bru and Lagarfljot meet, we recommend the rich birdlife and many seals. Please be ready for pickup in good time. Ticket to the Wilderness exhibition.